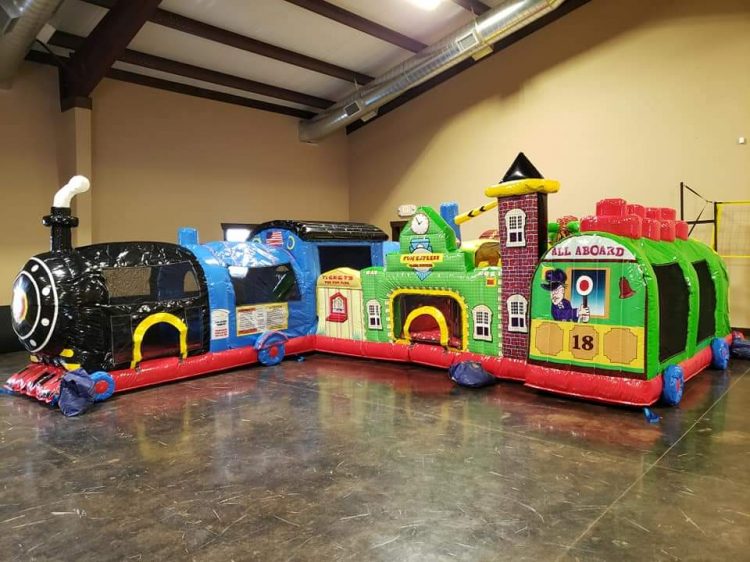 Kiddie Depot - Jumpin Jiminy - Make Your Events Awesome. All aboard! This train ride is for small children only. Giving them space to crawl, bounce, and have fun. Pop ups and Obstacles fill this inflatable with fun. 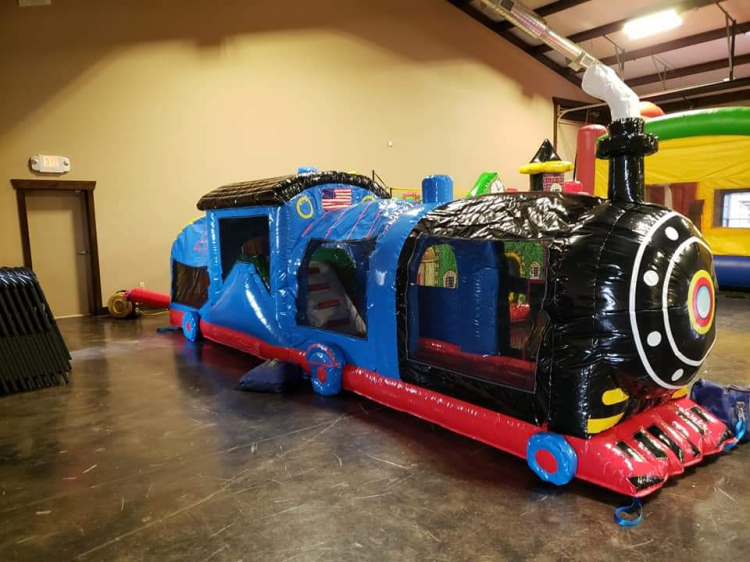 The train is leaving soon so book your ride today! Great for Schools, Church's, or Corporate events.